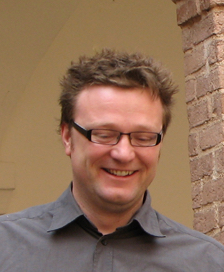 Martin Haltrich studied German philology and History at the University of Vienna. His doctoral thesis is about late-medieval writing and practices of administration in the Carthusian monastery of Gaming (Lower Austria). He was librarian and archivist at the monasteries of Melk and Zwettl and also member of the research staff at the Department of Paleography and Codicology at the Austrian Academy of Sciences in Vienna. Currently he is head of the library in Klosterneuburg monastery. His research interests involve paleographical and codicological analyses of medieval manuscripts and late medieval administrative source material. As an associate Project Investigator at the Sonderforschungsbereich (SFB) “Visions of Community“ he is currently working on personal and institutional relationships between medieval Central European monasteries.